Are all of the properties on the archives maps considered “historic”? There are more than 2,000 structures, districts, bridges, objects, and sites in the Virginia Landmarks Register and the National Register of Historic Places. Roughly an equal number of Virginia resources also have been recommended potentially eligible for inclusion in the two registers by the Department of Historic Resources (DHR). However, the majority of the resource files in the DHR inventory are of properties that have been surveyed but not officially evaluated by the department. Most of these files contain written resource descriptions, photographs, and maps. Drawings, correspondence, newspaper clippings, and published and unpublished materials are also available in a number of the files. The files for the properties in the state or national registers contain copies of their nomination forms and correspondence related to the process of listing of the resource. Database information, including resource location, on the inventory in DHR’s permanent collection is available in the archives, and is also available through the Historic Resource Data Sharing System (DSS) on the Internet for approved license holders. The department is also the principal repository for Virginia historic survey and archaeological reports. Databases and mapping for the reports are currently only available in the archives. How are the properties selected for inclusion in DHR’s permanent collection? A statewide survey of buildings, districts, and sites is an ongoing responsibility of the department. Often working with local governments and private organizations, DHR assembles data, photographs, and maps for each property surveyed, with an emphasis on structures that are more than 50 years old. This material is then added to the department’s Archives. Similar files are also created on properties and sites surveyed as a result of planned construction projects. Do the files contain historical photographs? 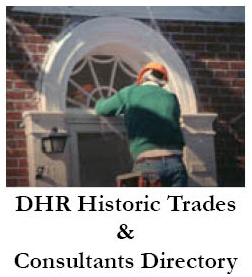 Few historical photographs are included in DHR’s files. Virtually all of the photographs in the files have been produced by staff, surveyors, or residents since the department was formed (as the Virginia Historic Landmarks Commission) in 1966. For more information on historical photographs and illustrations, please contact the Library of Virginia, the Virginia Museum of History and Culture (formerly the Virginia Historical Society), or the Valentine Museum. Is genealogical information available in the files at DHR? Very little in the way of family histories will be found in the files and databases in the DHR archives. DHR’s work is centered on the recognition, protection, and management of the structures, districts, and sites that make up Virginia’s cultural fabric. If genealogical information is contained in a file, it is only there to provide a fuller picture of the history behind the property. For more information on family histories, please contact the Virginia Museum of History and Culture (formerly the Virginia Historical Society) or the Valentine Museum. Will the archives accept donations of new materials on a property? Yes. DHR is eager to accept new data to add to our permanent collection that will aid future researchers. Many of our surveys on properties were conducted decades ago, and updated information and photographs are always welcomed. May books or reports be checked out of the DHR library? Is information on a property or site accessible online? 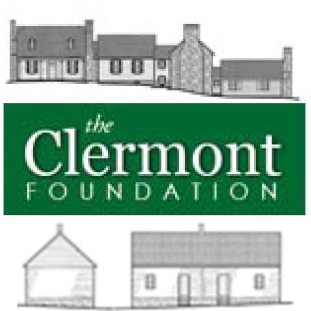 The nomination forms and photos of most of Virginia’s historic properties registered in the Virginia Landmarks Register or the National Register of Historic Places are available online. (Go to the Historic Registers link on the left of this page for a complete listing.) Otherwise, documentation pertaining to non-registered properties tracked by DHR is not available online. Currently a researcher must visit the DHR Archives in Richmond, or make alternative arrangements through the archivist to obtain records on file at DHR. The online Historic Resource Data Sharing System (VCRIS) is only available to cultural resource and preservation professionals, and government officials. Does DHR have deeds, plats, and city directories among its files? Some are found within the files, but more complete collections may be found at the Library of Virginia in Richmond.